All Canon Resetters available for free download (also called canon service tool) are listed below. They are used to reset the waste ink counter on the canon printers but not to reset chip in the printer. Please note, before a reset using this software resetter your canon printer must be reset manually. The manual reset function puts the canon printer into its service mode. In this article I just give download links info for software resetter canon printer, not a tutorial. I’ve included links to manual reset tutorials alongside the software resetter download links. I hope all the software resetters listed below can help you to reset and solve your canon printer problems. We’ve noticed Canon ip2770 Resetter is one of the more popular resetters in demand today, so we made sure to update the download link. Please let us know if any of these are not working. Are there any others that we haven’t mentioned above? Please let us know in the comments. Related to "Free Download Software Resetter for Canon Printers"
PLEASE SEND ME A RESETTER FOR EPSON TX100..
hay, how to oprate this software? please need a reset code for MP 190.!!!!!!!!!!!!!! i need resetter for canon pixma MP 486.. Anyone have luck finding the resetter service tool for the Canon Pixma MX 860? I can not reset wast Ink counter of ip 3680 . Any one help me , please……. i cant use my canon ip1200 printer after changed the pc to windows 7. Hi i am searching for the resetter software for canon pixma MP 240…. please help me, thank you. hi i need a resetter for my printer canon ip4800 tnx much ..
i have problem ‘ full absorber’ in my printer canon ip3680. may i have some help, how to cleared?.. do you have a resetter for CANON IP 4970? Your link to free downloads to “Download Software Resetter Canon i320” does not work. Do you have another download site for the Canon i320 printer? do you have resetter for canon pixma mx366? Avez-vous un logiciel pour reprogrammer les puces des cartouches de l’imprimante PIXMA IX 7000 CANON ou un resseter. I have canon pixma ip1300. when i try to print it show’s error that ink cartridge cannot be recognized even if there is no cartridge installed in printer. what to do ?? help me please…resetter canon MX357..
i have canon pixma mp 287.. Its showing error p07, wast ink was ful, how can i reset the printer…. pls. help me how how to reset my canon pixma mp258. coz i already download a resetter but its error. thanks hoping for your reply. pls. help me with this problem about my ip 2770 the yellow light still blinking after put the new ciss in my printer. whats wrong this printer amigo? please help me. pls. send me resetter for canon pixma MP287. Thanks! Please help me to resolve my cannon ip2770 when i do reset the error code 006 was display. pls. send me resetter for canon MP228 (asap if possible) ‘coz resetter for mp258 won’t work. Thanks! <– same here with my canon mp228; error 006 shows up when I click any buttons on the 'service tool' window but all buttons are grayed out when I'm in 'service mode' so please help us. again i try but result is same. general tools MFC application has stop working . please can some one help me ??????????? my canon iP 2770 had an error which might be ink absorber full, i have obtained the procedure to reset but i cant reset because the resetter doesn’t work because the program service tool from the resetter hangs everytime i try to use it, what should i do with that? do u have a resetter of canon MP 287?pls help me..
thank you very much for ip2700 resetter another blog merely manipulating twisting headache, once again thank you brother …. waste tank almost full ix6560?? do you have resetter for this thank you in advance…. hi need help for canon ip4970.. pls help i need the resetter for canon ip4970…………..
my problem is that i cannot reset my new canon pixma printer MG3100 is there any resetters available? kailangan ko po ng resster ng cannon iP2770. pagkaka pa reset q after a mont pang reset n naman. How about a software resetter for my canon pixma e510.? Any comment is very much appreciated. I really hope you can help me!! I can’t use my printer on my laptop. its a canon mx130 printer. I don’t have the C.D. to put the driver on nor the software.. please I really need help . please help me download the resetter for my canon ip2700 so i can reset my printer. how to reset error p07 Canon Pixma e510? a want to resetter for canone510. my printer is showing erorcode P07. resolving this problem i need resetter. Need Resetter for canon E510..
how to reset error p08 Canon Pixma e510? My Canon MG5540 printer has stop working completely with an error 5B00 left on the screen. Please do assist. pls……… i need to reset my canon p200, i can’t use my printer… someone can help me to a get a Resseter for canon p200….Thanks! Please can you send me the reset tool for Canon MX320? Hi, I nee a Canon P200 resetter please create thanks! Hi.. Do you have resetter for Canon P200? I’ve been looking that resetter in the internet but I couldn’t find..
do you have p200 resetter? 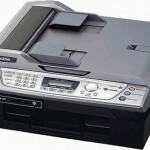 mau tanya cara reset printer mg 3570 gmn ya! ?mohon bantuannya..
resseter for canon p200 error 5bOO and how to resset it .. pls help .. thanks…. please help me ,i can’t reset counter canon ix 6770 if someone know…. Just tried to download the MPTool.zip, but mediafire says it does not longer exist on the website. Am finding it very difficult to reset my Canon ip7240 Ink absorber. i have tried various tricks of holding reset button and power button. I have also tried to look for the service tool software to reset the ink absorber after putting it to service mode….tried using v3400, v2000….all to no avail. Can anyone please help me out…and sick and tired of spending alot of money resetting the ink absorber counter. Does any one have the service tool resetter for Canon ip7240 or alternative method of resetting it. I Need resetter for Canon P200,.I’m willing to buy a Software or resetter,.Thank You,.!! I need a resetter for Canon PIXMA MX377. Please help me. I need a resetter for CAnon Printer PIXMA MX377. Please help me. is there a re-setter for Canon PIXMA P200? I need it so badly. pls. i need canon MX397 resetter..pls. help me..thank u..
pls. help me how to reset my canon mx397 support code 5B02..thank u so much for ur help..
i need canon MG3570 resetter. due to error message occured after ink pad is full message. 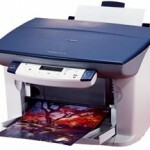 hi , can you please post another link for canon pixma ip2700 resetter? Did I miss the one for mx410? I’ll look again. If you think it’s not included above please indicate where I will find it. Thank you soooo much!!!!! it is very useful.. i dont have to pay 300pesos every 2months for resetting anymore. Hi! Is there any resetter for Canon Pixma P200? canon IP2870 resseter pls. hu can help me pls. Do u have resetter for Canon P200? asap pls.. i need it.. i can’t use my printer.. thanks in advance..
is there anyone here who have a resetter for canon ix6770? hi guys… could someone help me how to reset canon ip2770? it says that the ink absorber is nearly full.. what will i’ll do? pls help..thank you..
Hi gud pple, how do I reset 4620 machine, I need like the service tool software and keys. The requested URL /download/10385082/Canon2270.zip.html was not found on this server.